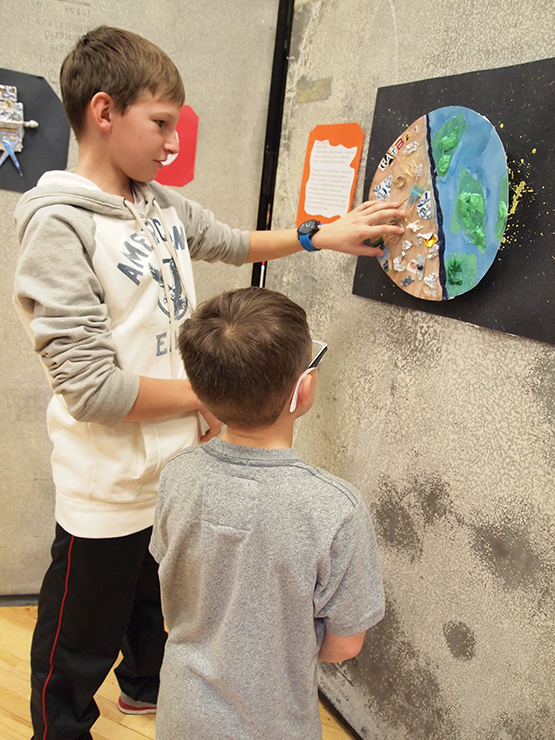 ArtStarts' Professional Development Manager Jeff Langille recently had the opportunity to visit École George Pringle Elementary in West Kelowna, BC, for a very special exhibition of young people's creativity. Fifty-six young artists, guided by Infusion Teaching Artist Paula Scott, had a group exhibition recently at École George Pringle Elementary in West Kelowna, BC. 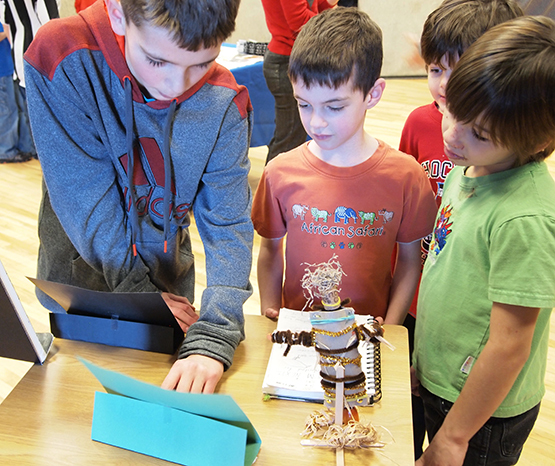 Two classes presented their Grade 6 Art Expo for the whole school and parents, celebrating the completion of their multifaceted project, The Art of Storytelling. Now in the third year of the Infusion Cohort program, Paula has shared her passion for art with teachers and students in Kindergarten/Grade 1 and Grade 6 classrooms. 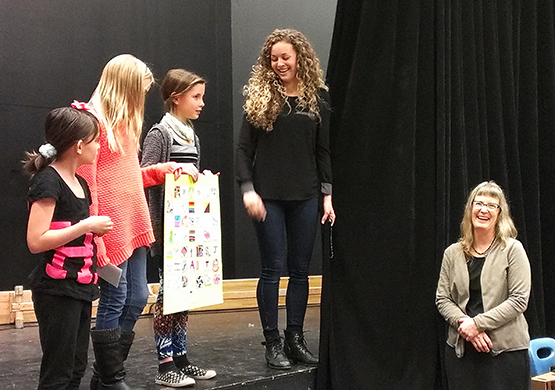 In addition to their students, Grade 6 teachers Melanie Goughnour and Jessica Balehowsky have benefitted from Paula's expertise in integrating the arts with other curricular areas. Paula has helped them to see that they can continue to plan and develop arts infused learning, even without the presence of a professional artist in the classroom. 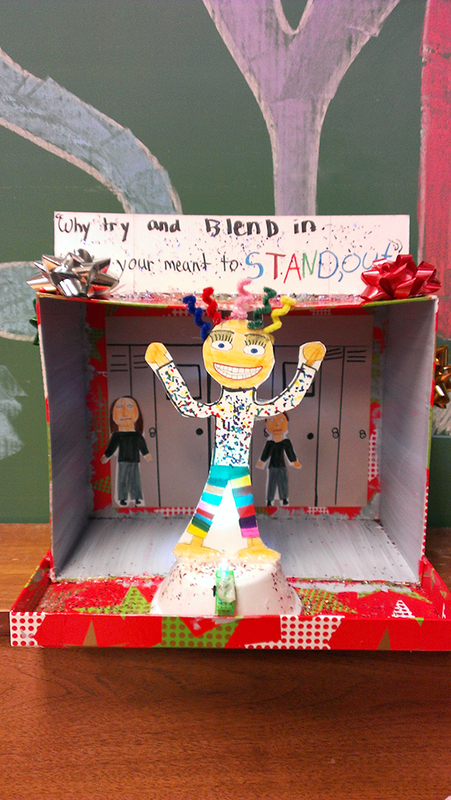 One of Paula's goals is to inspire confidence and independence in both students and educators. The school theatre space was transformed into an art gallery for the day, with paintings, prints and other art objects hung on the walls, and 3D artwork on display on tables. 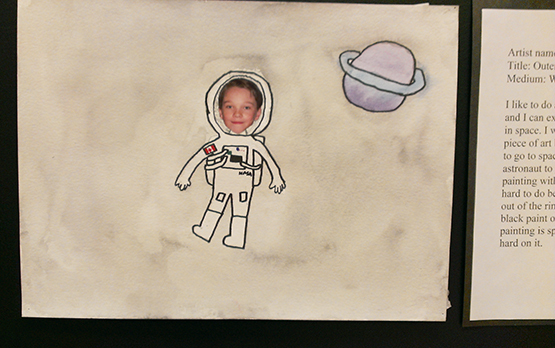 Students’ visual journals and artist statements were also exhibited, and showed the continuity and depth of exploration of their arts-integrated work from September to December 2014. Although originating from shared criteria, each artwork in the exhibition clearly showed the unique perspective of the artist. Enthusiastic students described the background and process of making their work to guests, fellow students, and school staff. The atmosphere was lively and celebratory. The diversity of artmaking in the show was remarkable. Students chose themes of deep meaning to their own lives, from identity and family, to animal rights and environmental issues. 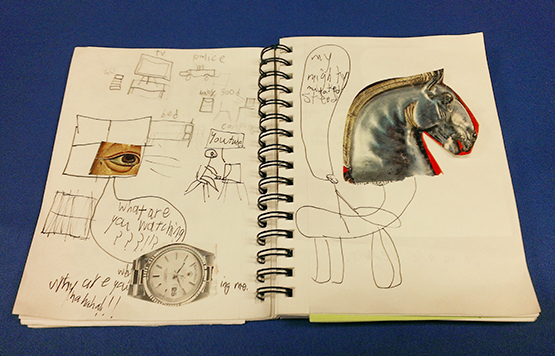 Students' visual journals are ongoing sites for exploration, from design sketches and responses to cut-outs from books and magazines (picture prompts), to personal visual engagements with the classroom "thought of the day". 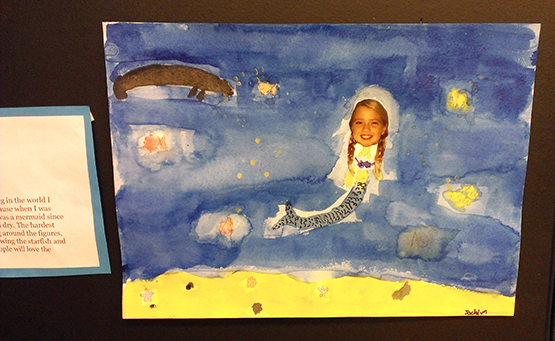 Small photos of students' faces appeared in whimsical Imaginary Me watercolour paintings. Language Arts met sculpture in the Poetry Puppets, finger puppets that live in fantastical shoebox dioramas, the dada boxes. 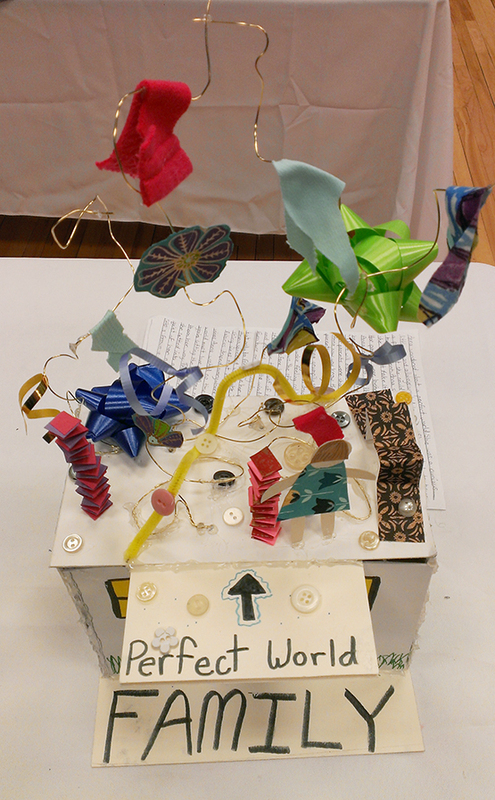 Throughout the exhibition, creative writing and visual practice went hand-in-hand, supporting each other—arts integration in action. It was clear that Paula’s instruction, commitment, and inspiration had been the creative impetus that guided every student into their own artistic and personal explorations.